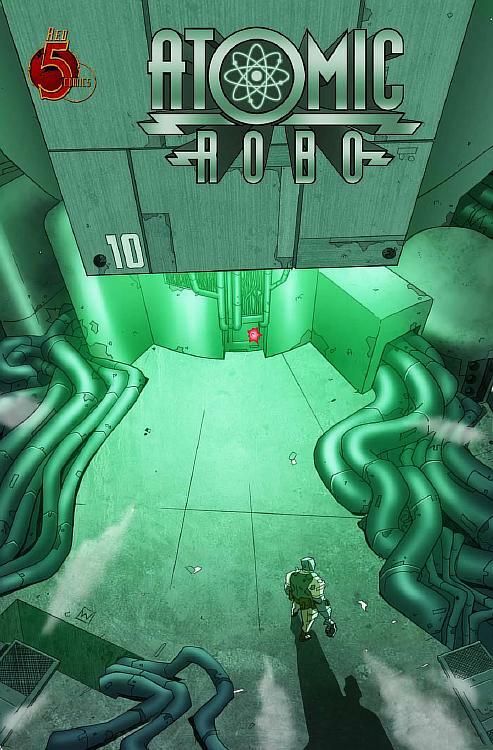 Brian Clevinger and Scott Wegener have crafted yet another fantastic, fun Atomic Robo tale that wraps up this week. Anyone who has read Atomic Robo knows that each and every issue is filled with enough humor, adventure, and sci-fi crazy to make any nerd swoon. This issue is no different. Even if you’re late to the party and this issue is your first trek into the Atomic Robo universe (Roboverse? ), you’ll get a great introduction to an intriguing, new antagonist and a snapshot of all of the elements (sparkling ATOMIC wit, beautiful ATOMIC art, Human ATOMIC emotion) that make this book a veritable blunderbuss of joy which fires its awesomeness directly into your face with every single page. This entry was posted on Tuesday, February 7th, 2012 at 1:54 am and is filed under Uncategorized. You can follow any responses to this entry through the RSS 2.0 feed. You can leave a response, or trackback from your own site.